Description : En forme d'engrenage. Hauteur : 20 cm. Largeur : 25 cm. 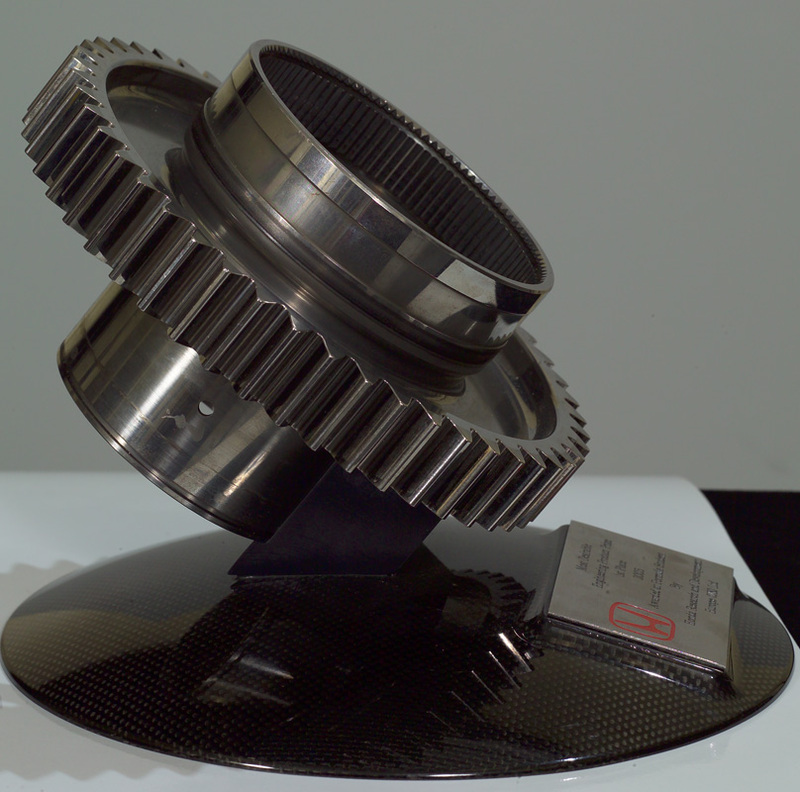 Prix : Most Desirable Engineering Product Prize 1 st Place. 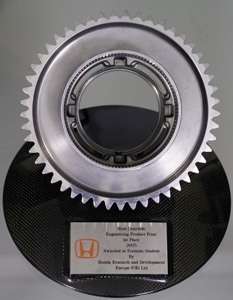 Notes : Awarded at Formula Student By Honda Research and Development Europe (UK) Ltd.